If you have a special App that you intend to present in front of your targeted visitors/audiences so that they can download it readily, then having a dedicated App website or a landing webpage is the answer to meet the need. Believe it or not, the strategy is really a great way to display your App and ensure the maximum number of download hits by your targeted audiences. After all, by long odds, is it not like that you want your targeted visitors to become the dedicated users of your App? How you will come round your targeted visitors to use your App is a decisive step. Also, the targeted mass may not tend to download your App if they do not find an impressive and effortless way for the same on the landing page of your website. What is being seen by most professional mobile technicians as a potential trend and perhaps the ultimate strategy is a field requiring the visitor’s phone number and a “Get the App”, “Text me” or “Get link” call to action. An SMS with a direct link to download the App is then sent to the potential user’s mobile device. Why sending the App download link via SMS is a sublime idea. 1. It optimizes the conversion rates: Since the App link is already available on the visitors’ mobile devices, they do not need to make any efforts to turn it up on the Mobile App store. This is a great strategy for the potential users to get at the App link directly and open it without getting deflected by other Apps while launching the store. 2. They can return to the store sooner or later: Since your targeted visitors have received the SMS on their mobile devices with the direct link to download the App, it implies that they can easily find it on their devices particularly while they plan to download it sometime later. 3. An individual and more visible call to action: The SMS sent to the targeted visitors’ mobile devices can either contain a link to an individual mobile App store or mechanically discover if the person is an Android or an iOS device user. On your web-landing page, you exclusively need one field and a large visible Download button on your website. 4. You can keep a tab on the statistics: While you use bit.ly links in the text messages you send, you can easily become aware of how many people, in point of fact, have reached and read your App download webpage on their mobile devices. Considering the points listed above, the array of the benefits by sending the App download link via SMS are easily visible. However, the moot point is that whether using exclusively the phone number field and pertinent button may give rise to any issues too? In case a user’s device failed to receive any text messages then what? How many users will be reluctant to index their phone numbers in the field? Since you won’t be considering it a good thing learning the downloads has been left intact, the sublime strategy is maybe to use the mobile App distribution via SMS in conjunction with the official App store badges. You will not be having an exclusive call-to-action, although you will be able to give an alternative to those visitors who are not inclined to give their device’s information. 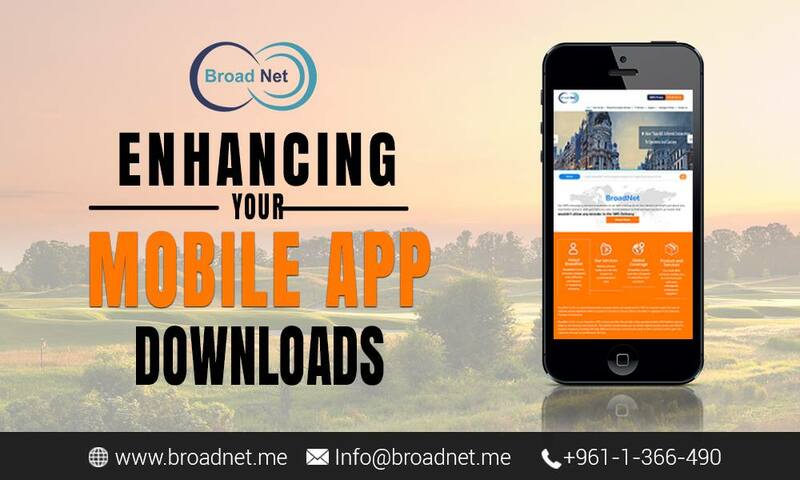 How BroadNet Technologies is helpful in maximizing your mobile App downloads and traffic conversions. Incidentally, while App Store Optimization (ASO) has surfaced up as the latest style of mobile App marketing, we, at BroadNet Technologies, take the lead in App store optimization and mobile App marketing. A legion of our global clients is well aware that our hallmark App Store Analytics software and services work wonders when it comes to delivering back-to-back Mobile App Downloads and traffic organically. So feel free to contact us if you are looking to rev up the Mobile App downloads dramatically in an organic way.